Today's red post collection includes Meddler's quick gameplay thoughts for October 3rd, the 100th edition of Ask Riot and a special video version in celebration, and more! 10/3 PBE Update: Infernal Amumu Splash, New Emotes, & more! For anyone that missed it Neurocat posted a piece on the NA dev corner earlier this week talking through some of the changes we've been trying for Karma. We wanted to see if the clothesline gameplay that Karma used to have years ago (tether to an ally, then hit enemies with the tether to CC them) could potentially be brought back. It was really distinct and could be pretty cool to play with. Conclusion we came to was that, unfortunately, while it's a cool sort of spell, it doesn't fit with a squishy caster who wants to be at a distance from he enemy team. Would be a good skill to put on someone who goes into the enemy team more (e.g. diving fighter or initiating tank) and we'll keep an eye out for a fit somewhere on a new or updated kit. Run through on the different major versions we tried below. Since it's the time of year this question crops up a fair bit: If you don't own the champion that gets a Victorious skin, but you do qualify for the skin by being Gold+ in ranked, then you'll get given both the skin and the champion themselves. So, for example, last year, if you were Gold at the end of the ranked season, but didn't own Graves, you were given both Graves and Victorious Graves. 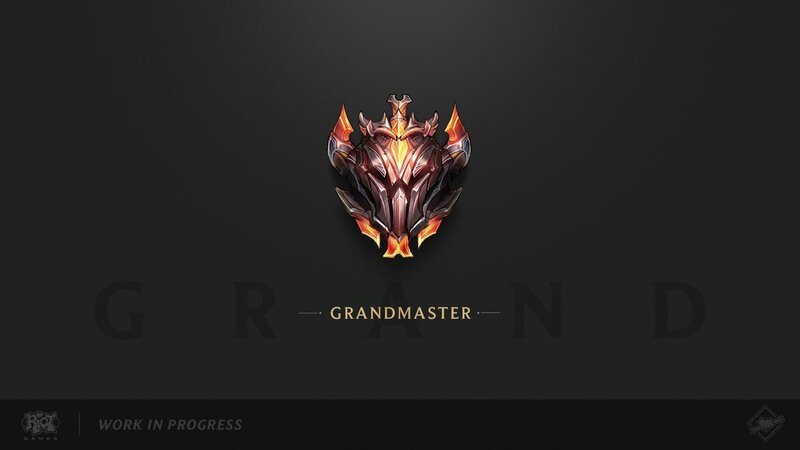 We're still more focused on preseason than the next couple of patches. 8.20 will have some balance work in it though. Thoughts on changes on the PBE, or probably on it soon, below. As usual some of this stuff will likely change as it gets tested. DH - Too strong early for a scaling rune. Looking at cutting early base damage as a result, Electrocute should have a longer period where it's the stronger pick. Also seeing it put out a bit much ranged harass for low risk early too, possibly ranged and melee values get adjusted differently. Scaling will likely remain the same. Ahri - Rank 1 and 2 ult CD up, reducing her ability to snowball early and general safety. Same ult CD at max rank. Graves - Looking at his AA AD ratio, with thinking being his scaling doesn't need to be as good as it currently is given he's strong early. Not concerned about nerfing him and Dark Harvest in the same patch given his performance with other keystones is also strong. Evelynn - Looking at reducing her ability to kill squishies without using her charm when she isn't pretty fed. Possible target as a result is R base damage. As with Graves not worried about hitting her and DH at the same time, given she also does well with other keystones. Jhin - His best builds at present are both the fastest and some of the hardest hitting. Looking at a lower AS to damage ratio as a result, with some compensation elsewhere to make it so there's more of a trade off between mobility and damage. Corki - Aiming to get some changes in to help him out, though moderately likely those take a bit longer and end up in 8.21 instead. Possible directions we'll test include buffs to the Package and to his ult, though unlikely we do both at the same time." "One update since time of writing - we're probably moving towards just nerfing Graves's starting AD instead of scaling. Looking into it more he's already falling off pretty significantly, so we're just targeting general power instead." "Probably in 8.21 instead, didn't make the cut for 8.20 (nerfing tank builds while keeping AD builds around current power level)." "Yeah, putting power out of the equation, he's a champ you'd expect to get less play than many, given his theme's a more niche one and his art/VO are older. In the same way we see some champs that have really broadly appealing themes maintain high play rates even when weak." "We're looking at ways of delivering a satisfying 'stacking' experience with offensive output, without delivering a tonne of damage in a single basic attack. This type of almost unavoidable delivery is even less healthy than the pre-nerf electrocute and can hit far greater numbers depending on the bloodiness of the game." "I expect we'll get some more in every so often. Work like that's often slotted in where an artist or two have time between larger champion projects (they're ahead of schedule and waiting on the rest of the team to catch up, things like that). Makes it harder to predict well in advance what will get done when." 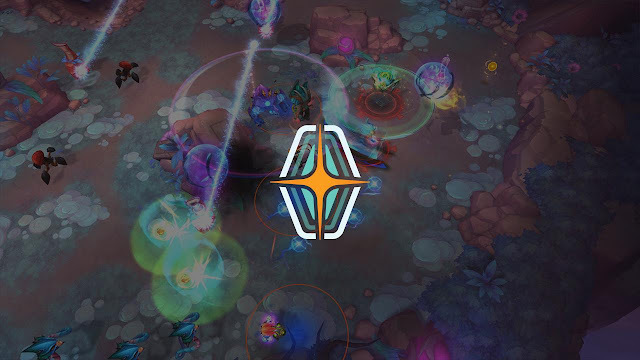 "League’s development leads answer your most pressing and… intriguing questions." "We're on track to ship a large care-package to Nunu & Willump in 8.21. It's focused around fixing some new and old bugs and improving the quality of life for players playing them. 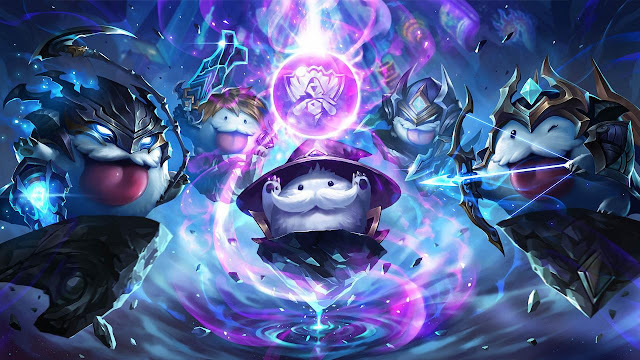 Most of the items on this list, for example have been taken care of: List of All Nunu Bugs & Clunkiness"
 Hello, summoners! 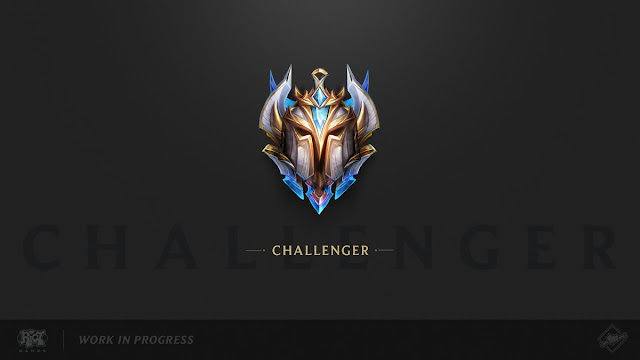 Here's the sneak peek of the new Challenger emblem—we're still iterating/polishing, but please share your feedback! I also went ahead and updated the side-by-side with the latest art based on the feedback we got so far. Thanks again everyone for all the feedback you've shared. We're going to keep working on these to get them ready for prime time, but I also wanted to take a chance to talk about how we're going to act on your feedback. 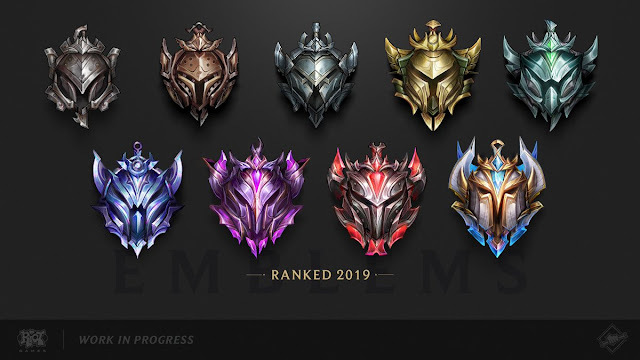 We're not going to make any major design changes to the shape or silhouette of the emblems, but we'll look to improve the inside for more clarity and to make the progression more obvious. 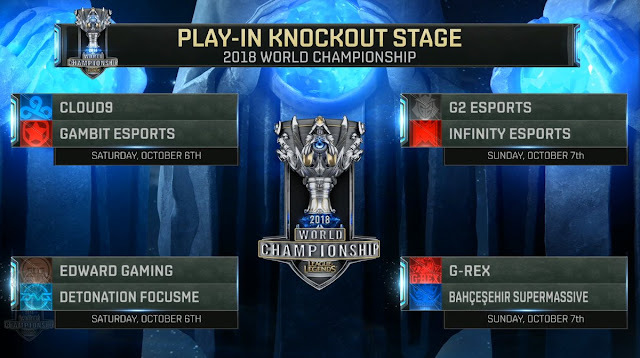 Worlds Pick'em is starting back up for group stages on October 7th! Check out the article for full details on dates, prizes, and more! 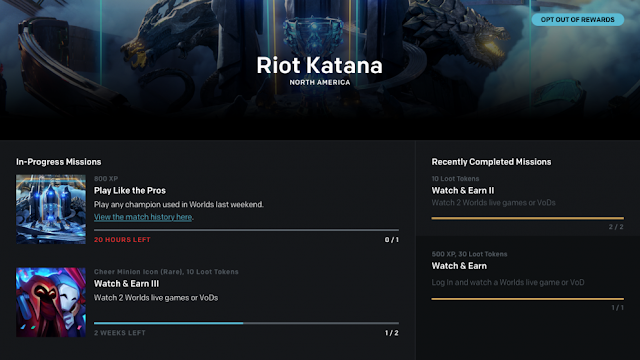 Worlds Watch Missions are now available! Watch the broadcasts of Worlds and gain Worlds tokens for in game loot! Check out the article for more! The Odyssey 2018 event is happening from now until October 8th, with a new PvE gamemode, Odyssey: Extraction, new skins, chroma, missions, rewards, and much more! Check out our post for all the event details!